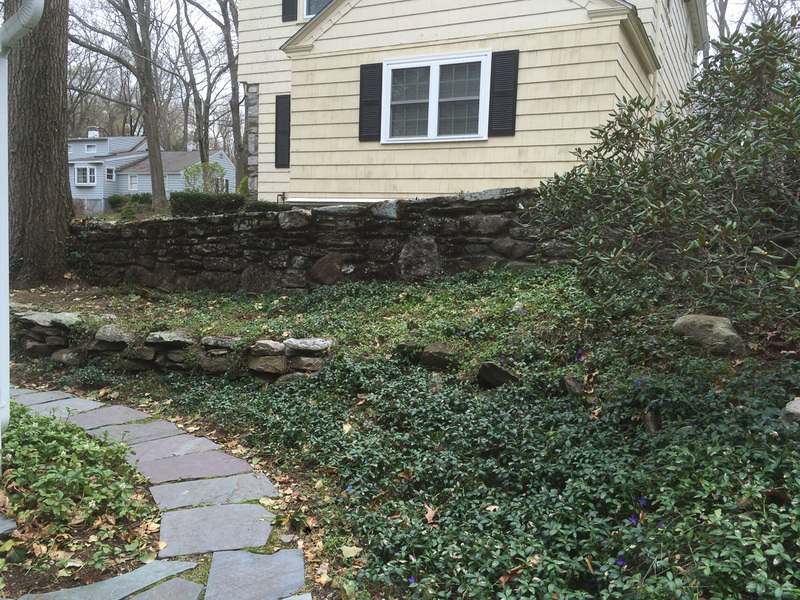 The stone retaining wall here was completely buried in the hillside, possibly from past tree removals. 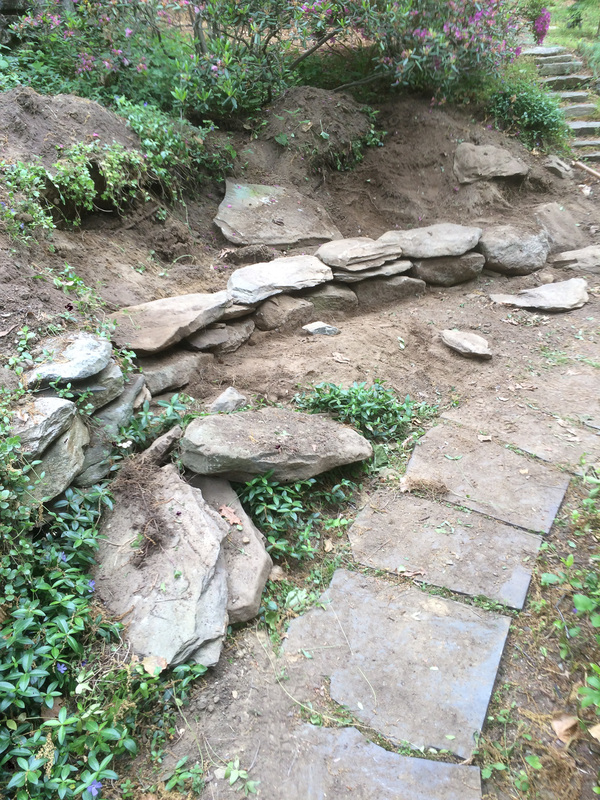 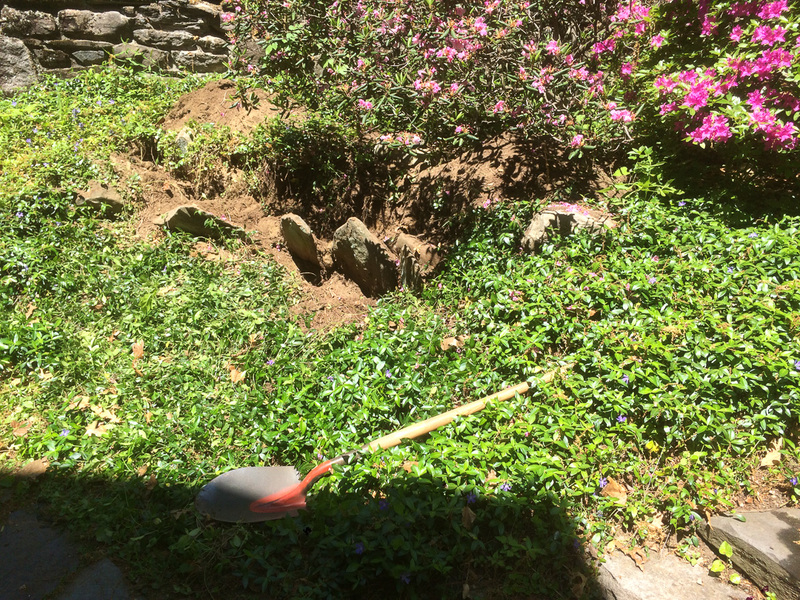 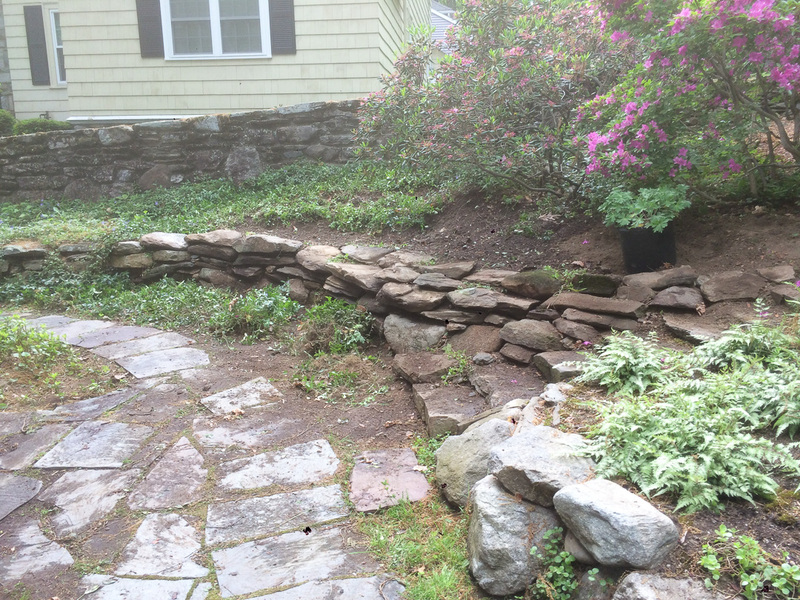 The stones needed to be excavated from the soil and then reset to meet the existing wall and stairs. 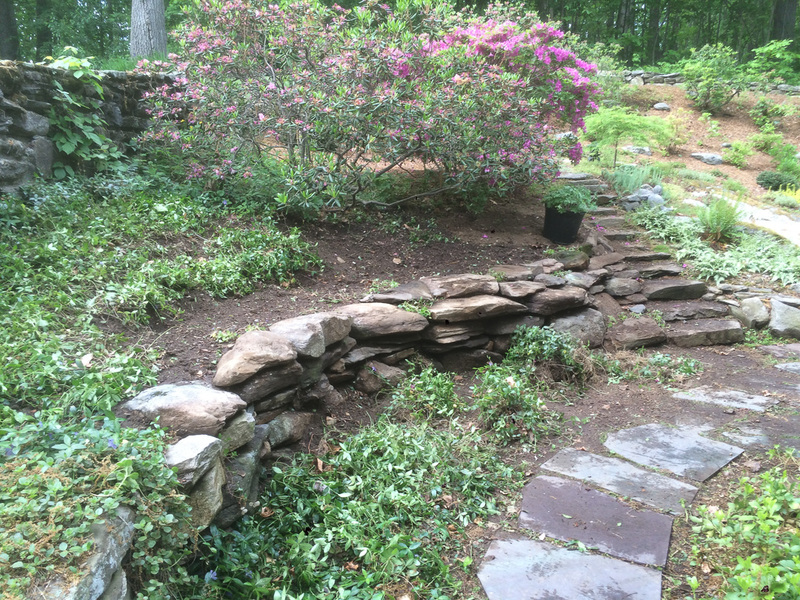 The restoration adds definition and unity with the rest of the existing garden. 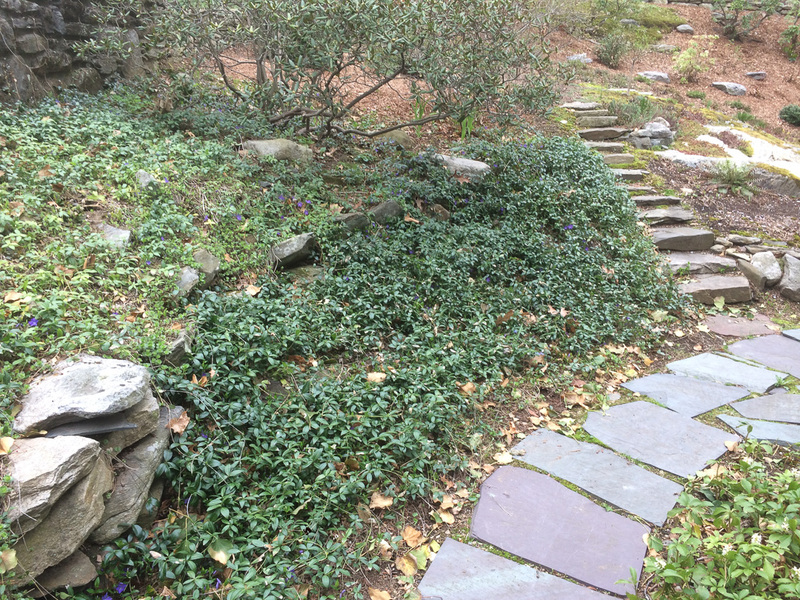 Vinca will eventually be removed for more varied plantings.